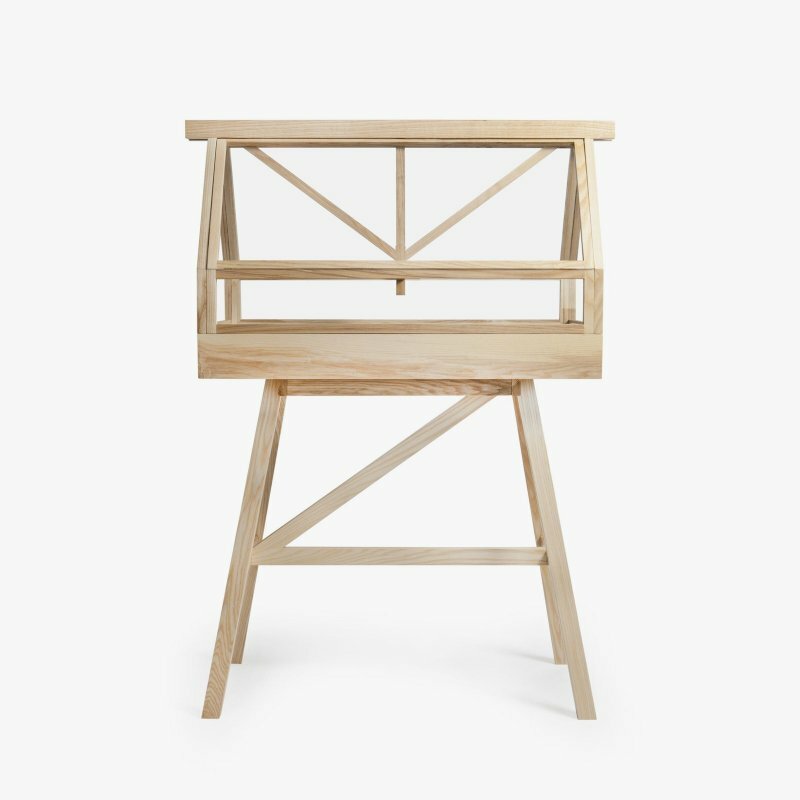 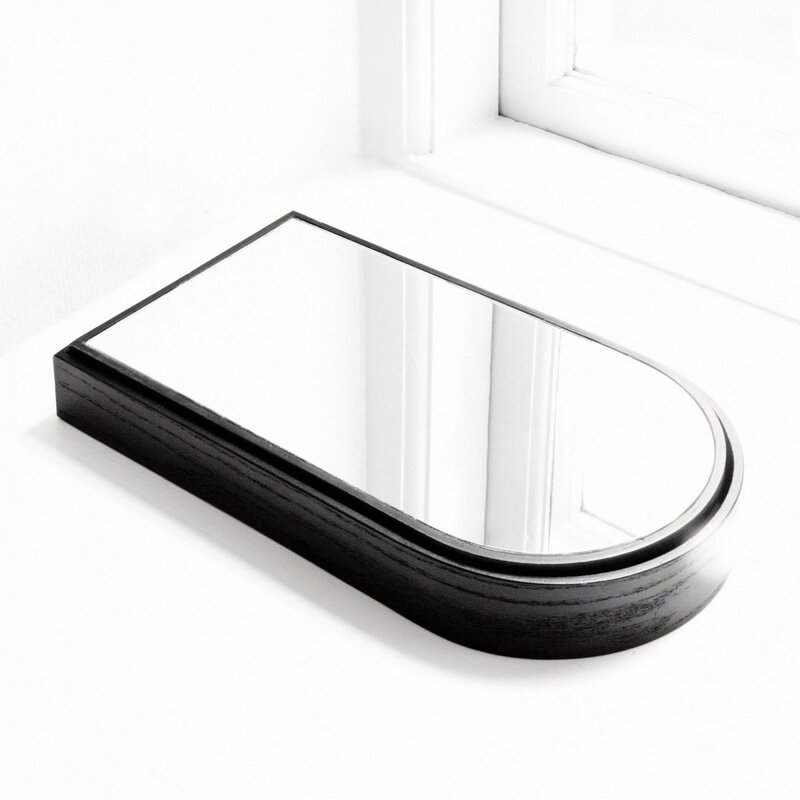 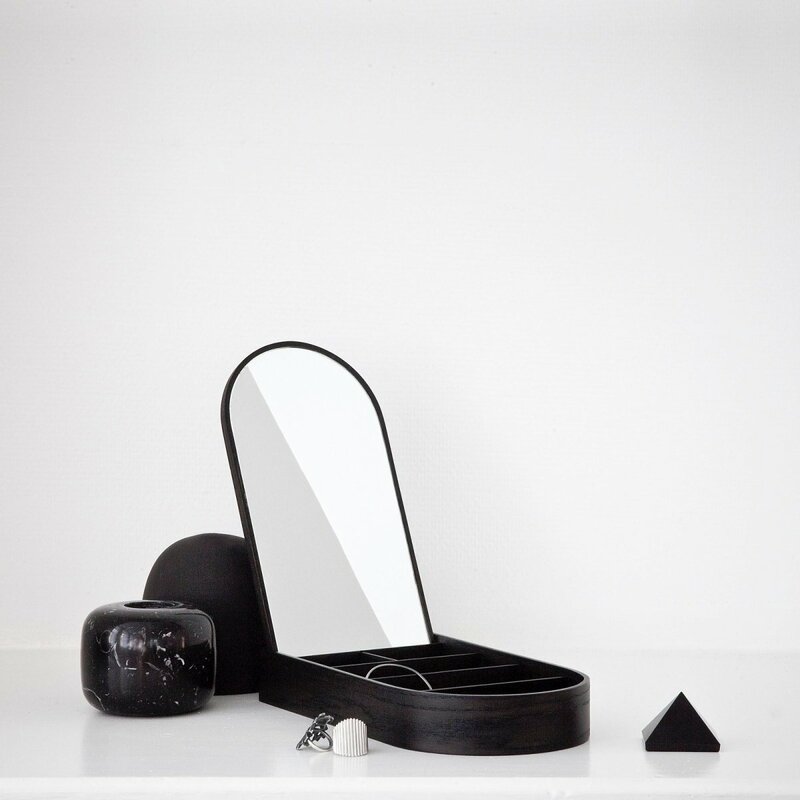 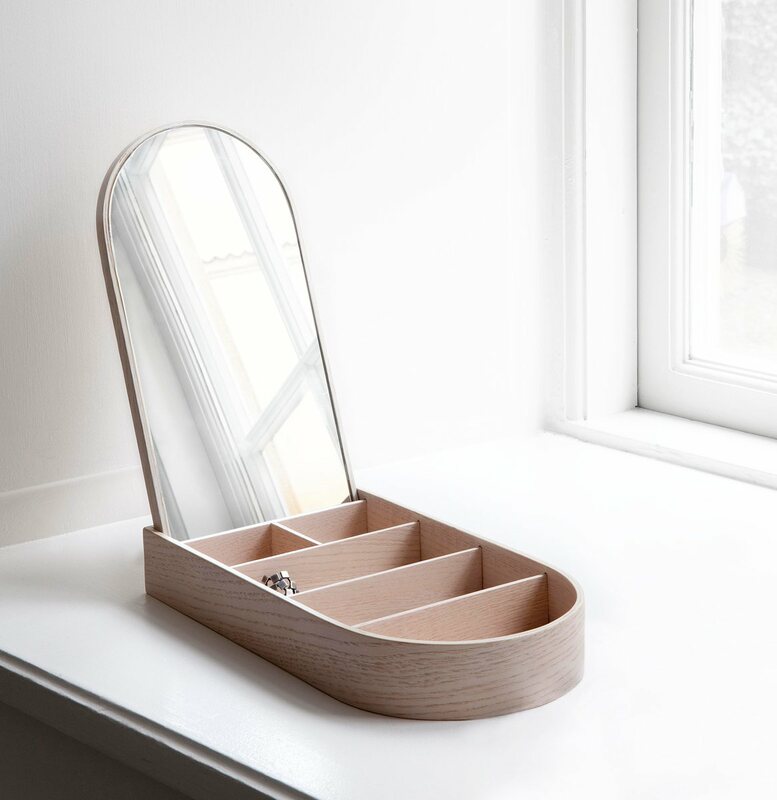 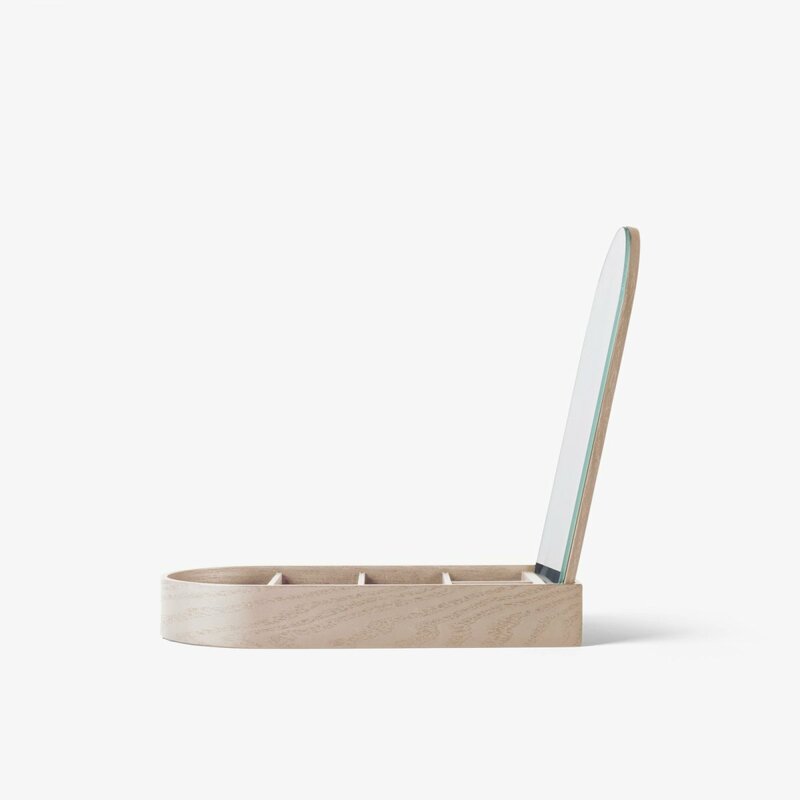 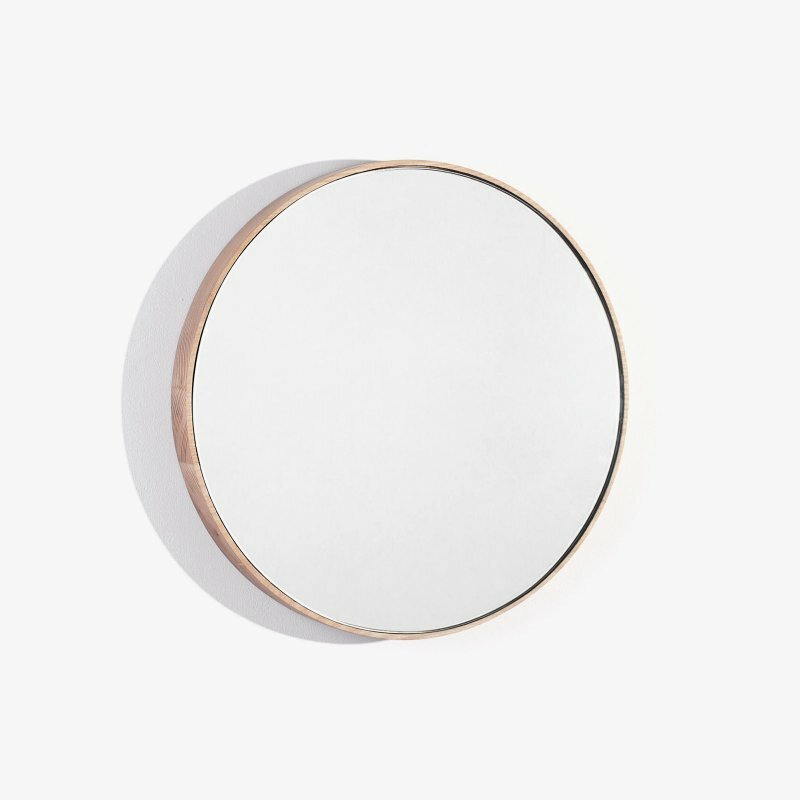 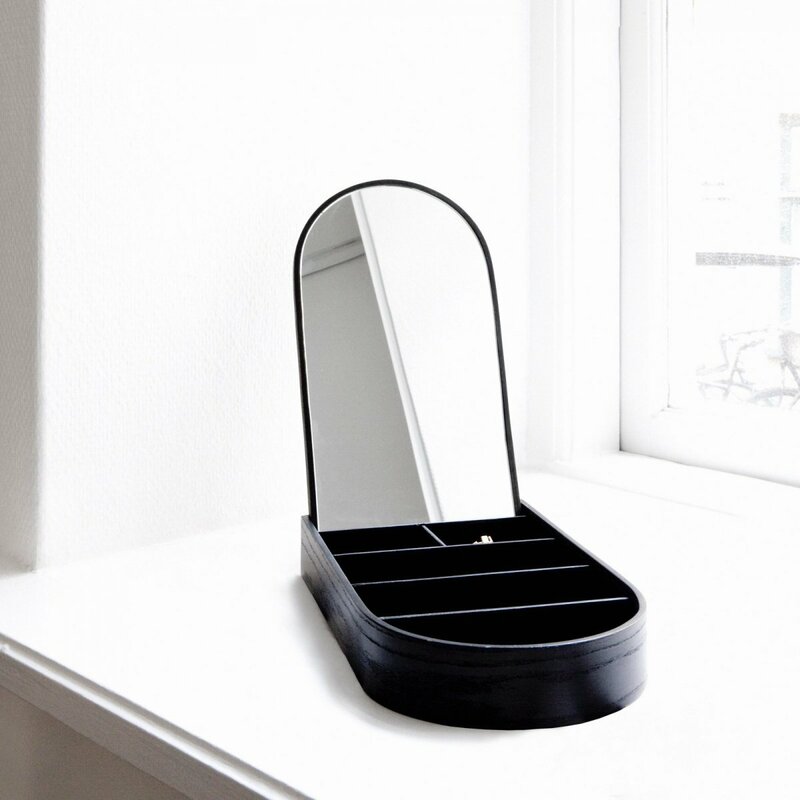 Jewellery Box is a minimal and timeless jewelry organizer with built-in mirror, designed by Studio Theresa Arns for Menu. 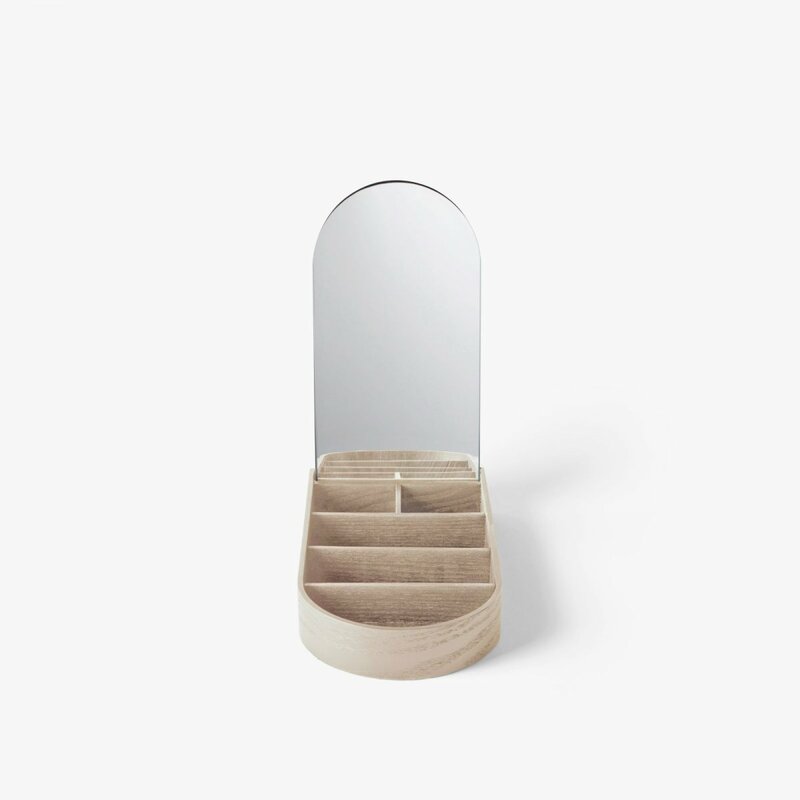 Banish memories of your grandmother&apos;s dressing room table. 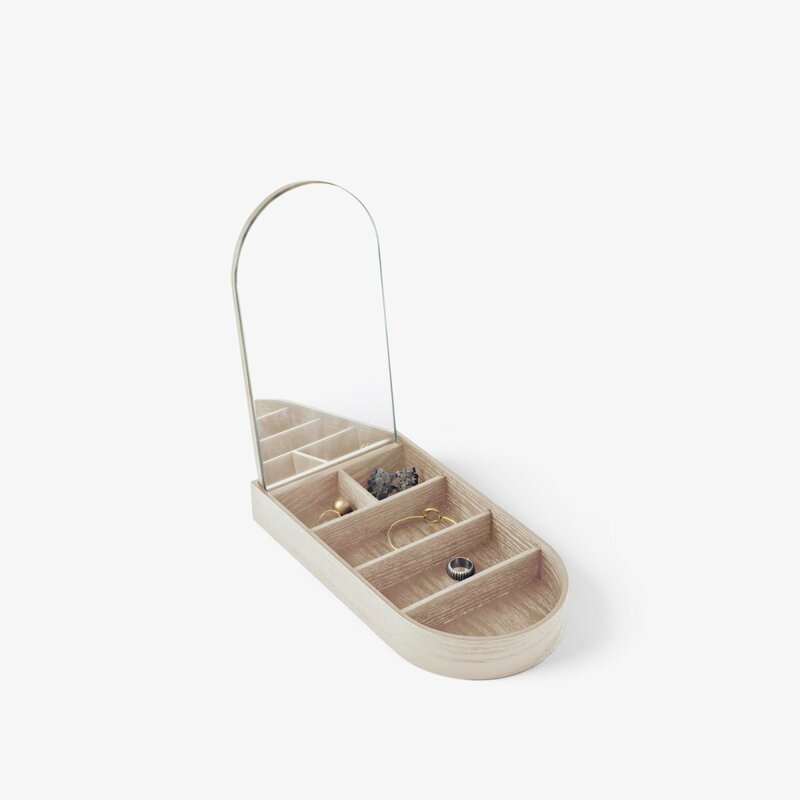 Here is a traditional jewelry box reimagined for now. 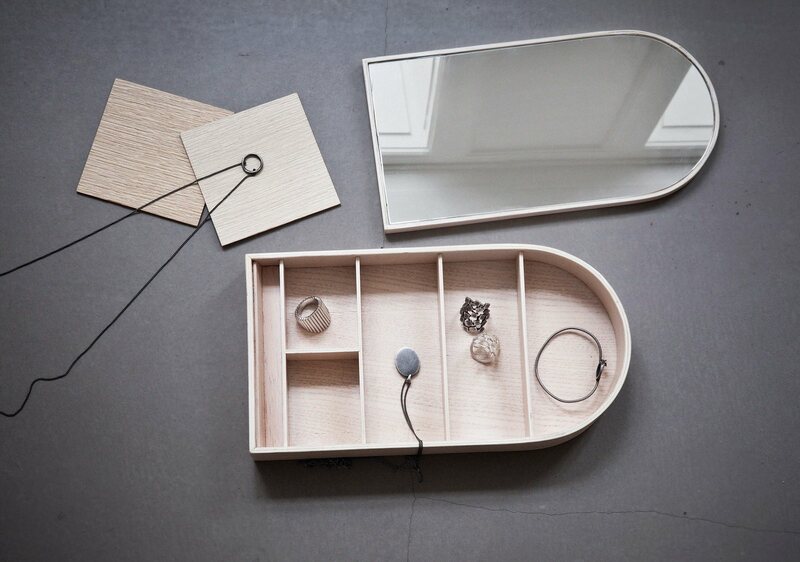 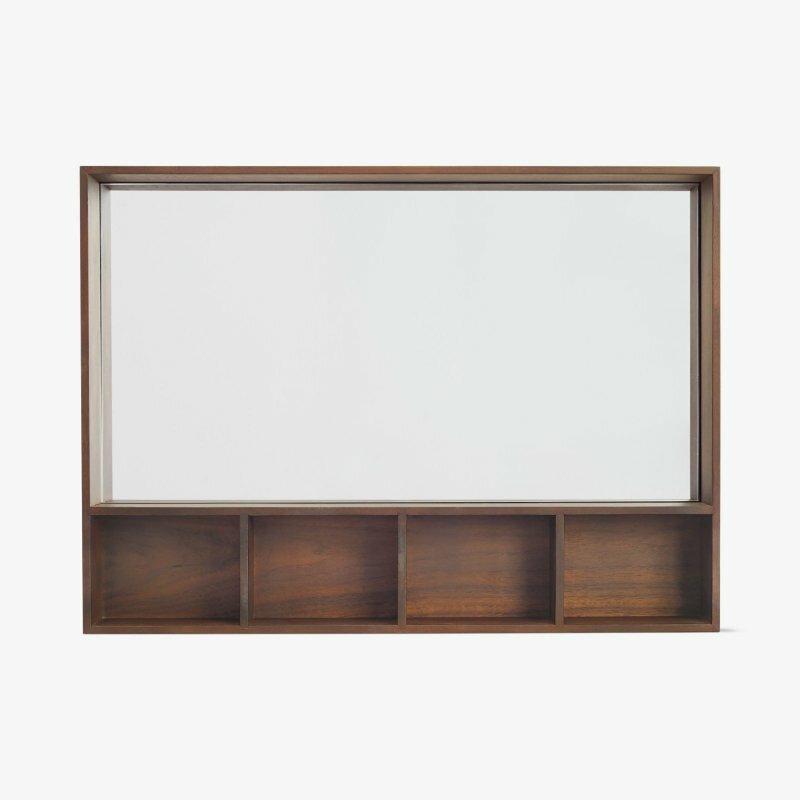 Sleek, sculptural and entirely practical, Jewellery Box features organizing partitions and a built-in mirror.